Now that it’s a new year and school is back in session, I’m making an effort to do a little bit more for myself. I’ll admit that I’ve fallen into the habit of hopping out of bed, throwing on whatever is closest and running the kids to school. While this itself is not a big deal, the problem is that I generally end up staying with that exact same look for the remainder of the day. But not this year. 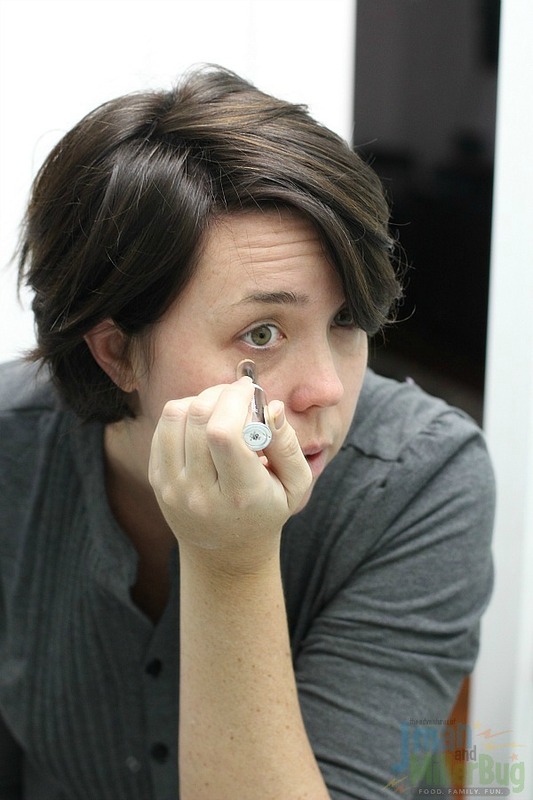 This year I’m finding simple ways to present a new face to the world and the most important step in this process has been finding a mom-friendly 5 minute morning makeup routine! Now, trust me when I say that I know how crazy mornings are. While I want to look my best, as a mom mornings in my home are crazy and at times that has left me thinking that I can’t have a morning makeup routine that is quick, easy and leaves me looking naturally great. 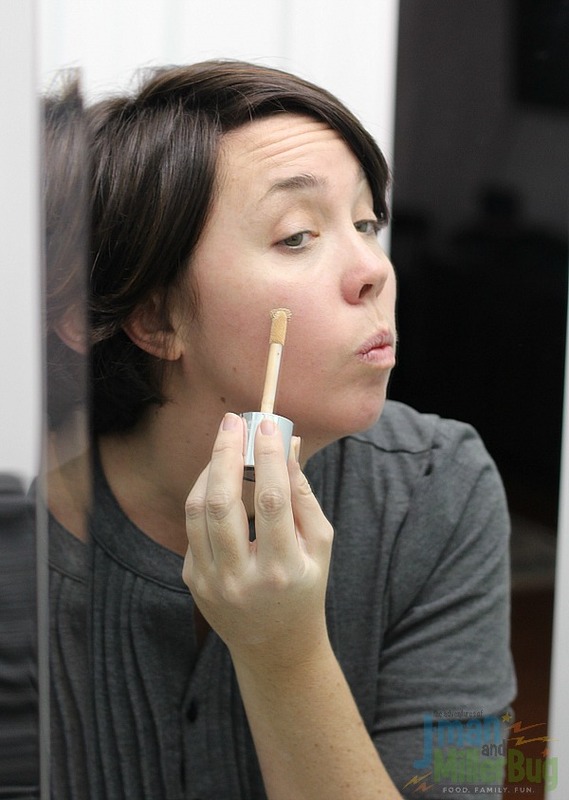 But with the new year in full swing, I’ve decided to put my mornings to the test and prove that I can have it all and look great too with a makeup tutorial that’s perfectly easy and super quick, meaning that busy moms like me no longer have to decide between getting breakfast and lunch made for the kiddos and looking fab ourselves. 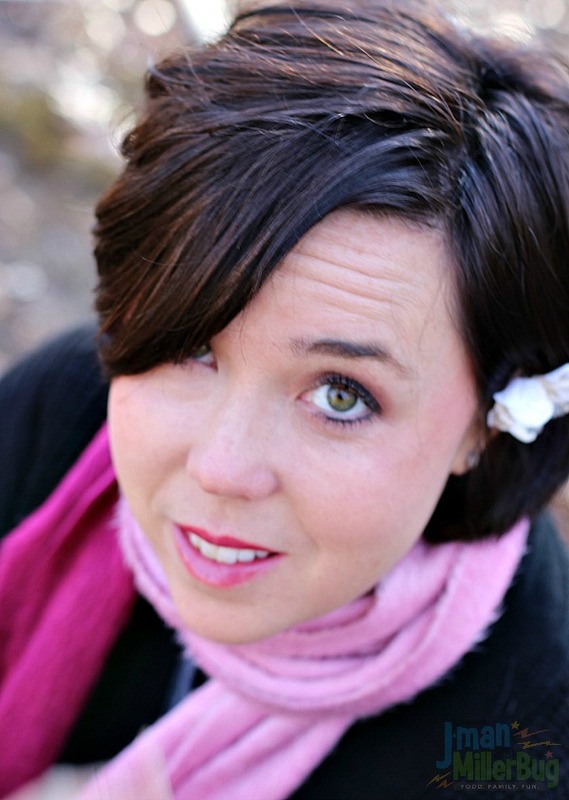 So, I guess the only place to start is to tell you what inspired this mom-friendly makeup routine and in truth, it was a recent trip to Walmart. 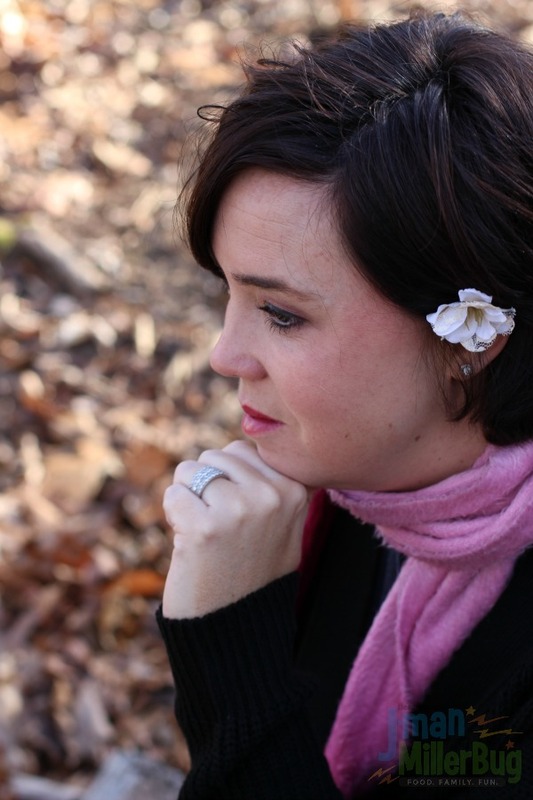 In the back of my mind, I knew that I was in need of a fresh and easy look but I just wasn’t sure I could find products that were quick and would leave my dry winter skin looking nourished. 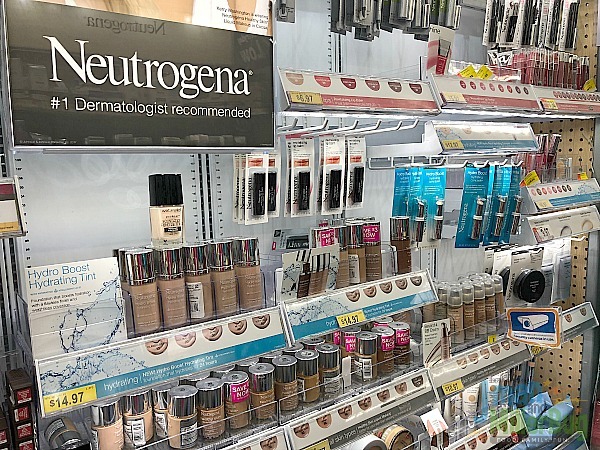 As I stood looking through the makeup aisle, my eyes kept being drawn back to a new line from one of my favorite brands, Neutrogena. 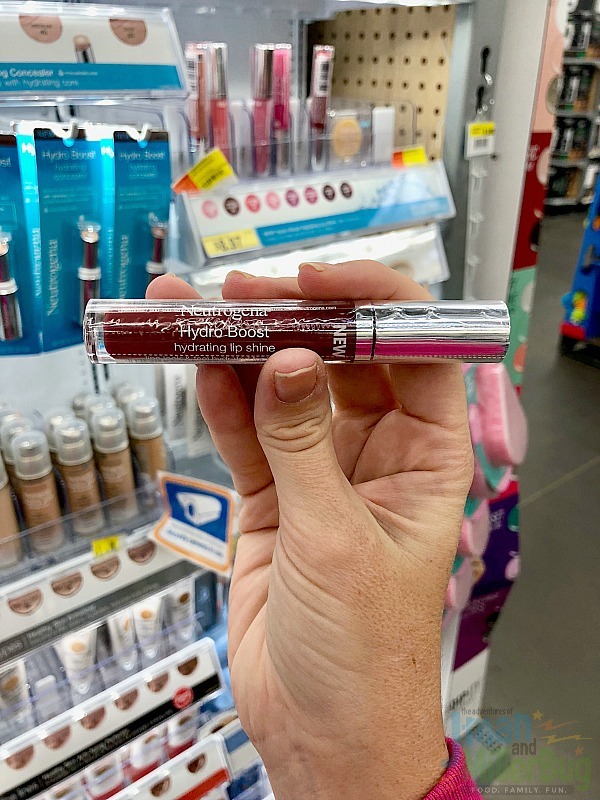 After discovering that the new Neutrogena Hydro Boost line is a line of makeup with hydrating hyaluronic acid that boasts lip-quenching conditioning and a hydrating foundation that’s better for your skin than wearing no makeup at all, I figured it was worth a try. Knowing that my skin was in desperate need of moisture with these record cold temperatures that never seem to end, I selected a Neutrogena Hydro Boost Concealer, Tint and Lip Shine and paired them with a simple blush, eyeliner and mascara to see if I could create an everyday look that’s perfect for busy moms like me. Once I arrived home, I knew that the only way things were going to change with my morning makeup routine was to simple start the very next day. 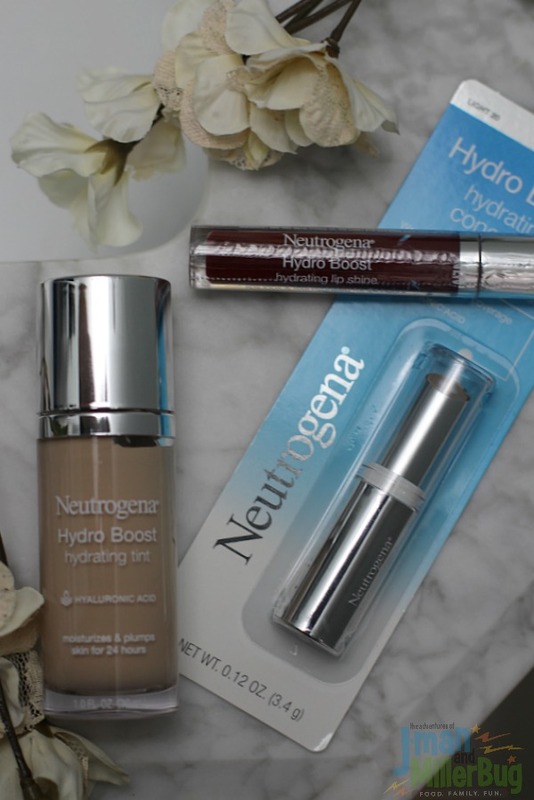 After laying out my new purchases including the Neutrogena Hydro Boost line, I was ready to see if this hydrating makeup could really give me a natural look that enhanced my features without adding tons of work to my morning routine. Now, admittedly, I wanted coverage (I’m a tired mom after all) but more than that, I wanted coverage that didn’t look like I was trying to hide anything. 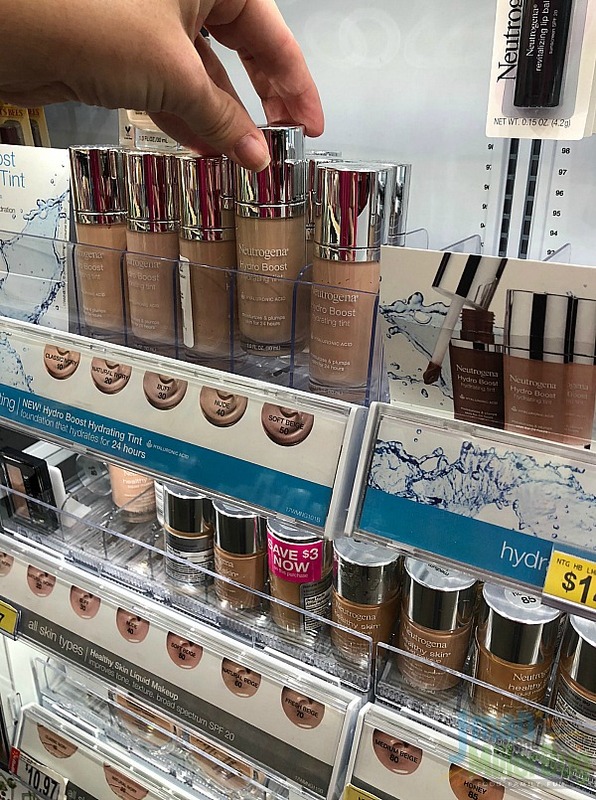 I had been able to pick out just the right shade of concealer from the Hydro Boost line and after moisturizing my whole face, I was able to simply spread it on under my eyes and on blemishes. It didn’t take much for me to get great coverage that looked completely natural while still hiding the areas that I wanted to improve and the best part was, the concealer didn’t leave my skin feeling dry or like makeup was caked on (doesn’t everyone hate the white raccoon eye look?). 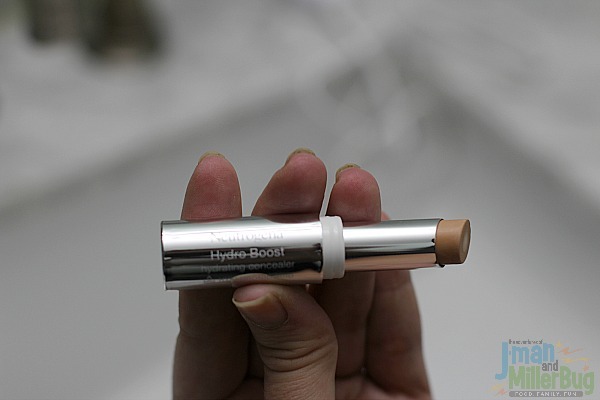 With my imperfections covered, I moved on to the Neutrogena Hydro Boost hydrating tint. This easy to apply makeup that functions like a base was perfect for giving me a flawless complexion while adding hydration to my skin. I have to say, I was impressed with how well it went on and how I was able to blend it with my concealer to give myself a flawless look that wasn’t chalky or pasty at all. In fact, I was instantly able to achieve that pre-kid dewey complexion that all moms dream of! After adding a little blush, a small amount of eyeliner and some mascara my look was complete except for my lips. I will say that I really struggle with my lips chapping and being dry during the winter and I miss the color of lipstick when I use chapstick. 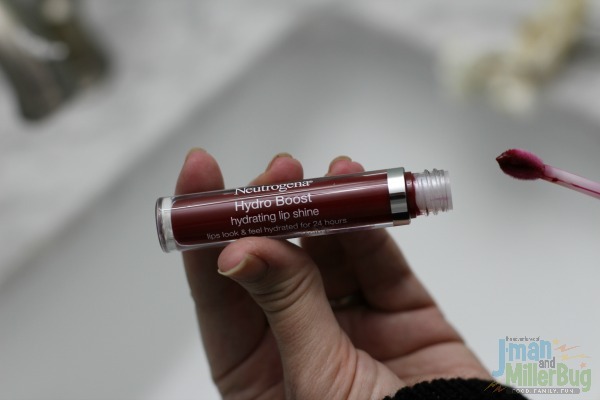 However, the Neutrogena Hydro Boost Lip Shine was a perfect finish to my easy look and I love that it keeps my lips feeling moist all day long! Now, I’d be fibbing it I didn’t say that I sometimes still wear my yoga pants but I’ve learned that even when I have them on, I can add a sweater, a scarf and my easy 5 minute morning makeup routine and I can be out the door in the same amount of time I always have been but instead of looking like a hot mess, I get a finished look that makes me feel like I can conquer the world. Now it’s your turn to try my easy 5 minute makeup routine and rediscover the inner woman hidden behind those tired mom eyes! Start by heading to Walmart today to pick up a variety of new Neutrogena Hydro Boost products! So what are you waiting for? 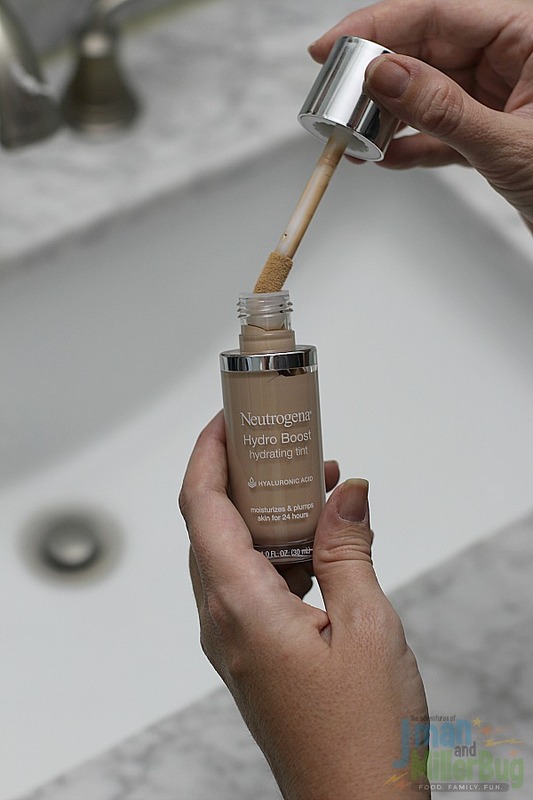 Start giving your skin the hydration it needs while getting a gorgeous yet simple makeup look that’s perfect for every day with help from Neutrogena! 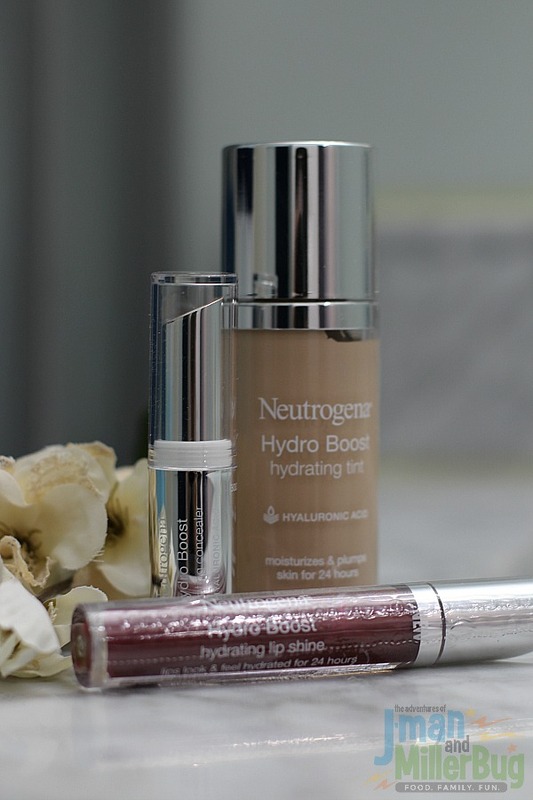 To see the entire line of Neutrogena Hydro Boost products, click here. And if you’re in need of a makeup line that’s perfect for cleaning up your skin don’t forget to check out the Neutrogena Skin Clearing line here. Then tell me, while of these Neutrogena products are you most excited to add to your daily makeup routine? You look fabulous! I need to start putting makeup on when I go out. People always say I look tired, which is probably a polite way of saying I look like crap. I’ve always been a fan of Neutrogena products, so I’ll have to pick these up! Those products look great on you. I need some of that concealer, I would love to hide or at least minimize the bags I have. I have always been a morning person, so mornings come easy for me. My kids are another story, though – LOL. I LOVE this! I am always on the go. Like, crazy on the go. A 5 minute makeup routine sounds perfect. This is fantastic! I love a quick 5-minute makeup routine. These are great tips. You look great and so put together for only 5 extra minutes. I need to add more makeup to my routine. I love wearing it, I just don’t do it often. Nutrogena has been really great for delicate skin. It’s nice that you have an efficient make up schedule. You had me at mom-friendly! I use the hydra boost products on my lips and face too. They are great. Yes to all of this! Love how far just a little makeup goes, I often forget that. And Neutrogena is our go-to for skin care, but I need to try out their makeup. I don’t know what you do to look young but I need to have some. Neutrogena is such a trusted brand and I think moisturizing every chance we get and with hyaluronic acid makes so much sense. It makes such a huge difference when you go out with your best face forward! I always feel so much better about myself and way more confident! 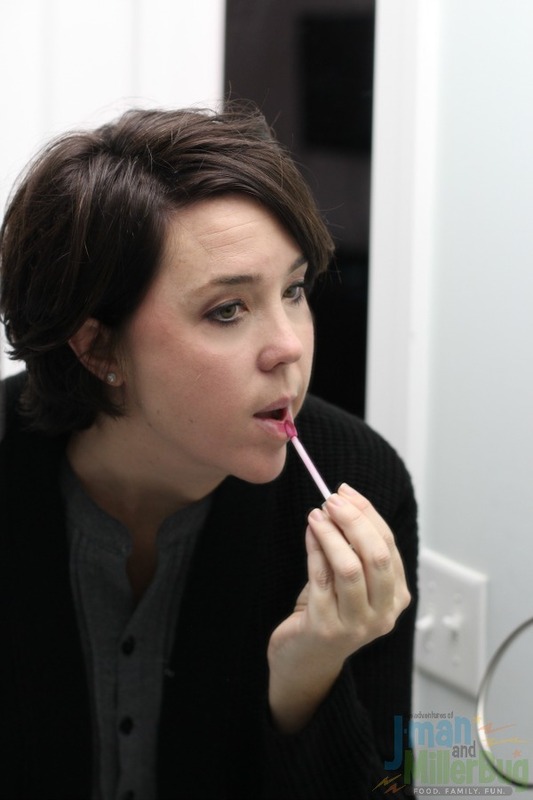 It’s important that moms all have a quick and easy makeup routine! I have such a basic makeup routine.. I definitely need to step it up! I like how this is so easy and simple, and you look great! I love the colors you chose, how pretty! What a fast and easy makeup routine! I love how natural it makes you look. I am not a Mum but I am not one to spend ages putting on make up in the morning so this is the perfect routine for me, I really want to try the Neutrogena products as well. You had my attention when I read five minutes. Everyone has five minutes to put on a face. Love the photos. I love this simple makeup routine. I take too long getting ready sometimes, but I have an easy routine like this up my sleeve for days when there’s no time. I love Neutrogena makeup too! Their stuff feels so natural and less artificial VS other brands. This winter has my face so dry! I need to try this foundation out- for sure!!! My routine is SO long just trying to get my skin to behave! You look great – I need to get a quick routine like this down. I’m kind of all or nothing! My wife would like the Neutrogena makeup line. She’s always looking for new products that work great. I haven’t used Neutrogena makeup in years!! I used to love it and now I need to try it again!! I have to say, I can totally relate. I too in this new year need to think of a better way to present myself instead of what I can easily throw on. I think I can do five minutes for makeup. I would love to try this! Looks worth a try! 5 mins is really all I allot myself in the morning for makeup, so this is spot on. I love Neutrogena products too. This is fabulous! It’s so true that many moms don’t have a lot of time to put makeup on in the morning but honestly, it can sometimes make you feel better. I love that this routine is only 5 mins. OH YES! Seriously, it can be so hard to find the time to put makeup on, but I always feel more awake when I do. I love that this routine is only 5 mins long. Time to give it a try. The mornings are so busy when you have to get ready to work and get children and a spouse reeady to face the day. This five minute routine is a great idea. I love these Neutrogena products! It’s amazing what a bit of makeup can do, I love that lipstick. how cool! Now I would like to get some for myself. Thanks for sharing. Yes! If it takes more than 5 minutes I’m really not that into it. I’m the girl that keeps her makeup in the car and do a few things on the way to work and I’m always happy with the outcome. Great post! I love neutrogena and I can’t get enough of their make up and skincare products, you look beautiful!